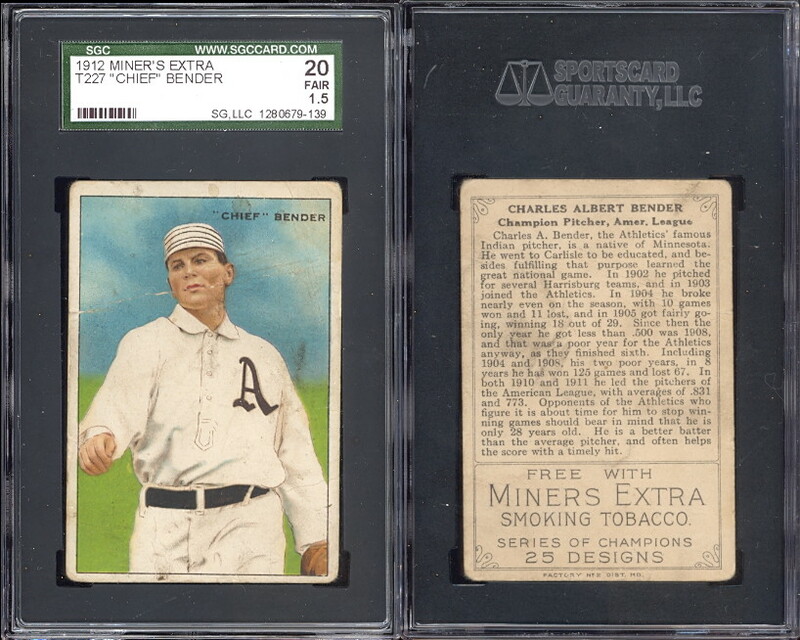 1912 T227 Series of Champions cards. 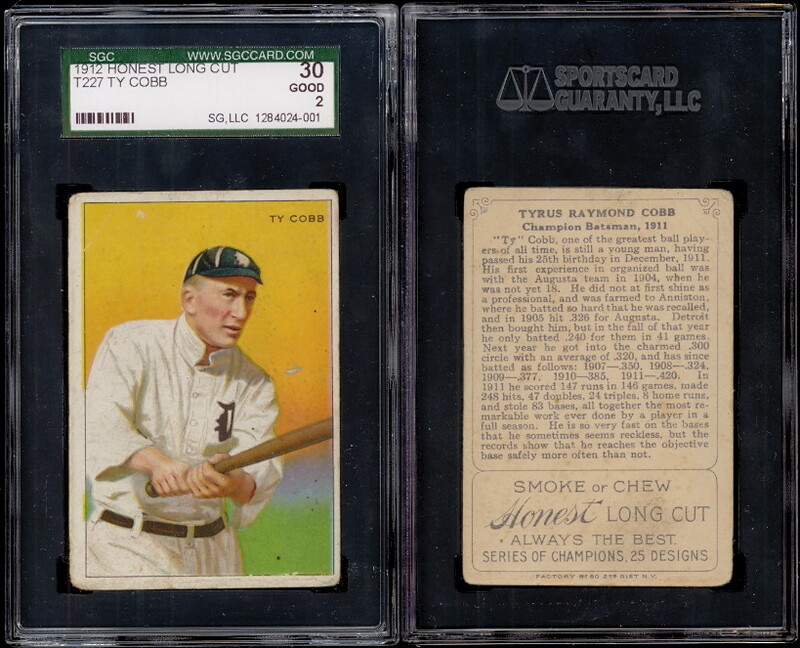 Issued by the Honest Long Cut and Miners Extra Tobacco Companies. 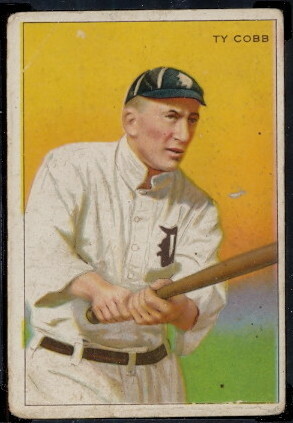 The 25 card set consists of famous athletes of that day, with only four Baseball Players. The cards measure approx. 3-3/8" X 2-5/16". 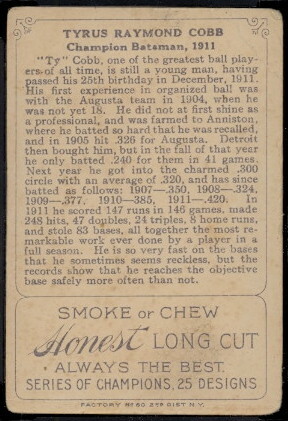 The backs include the players biography.